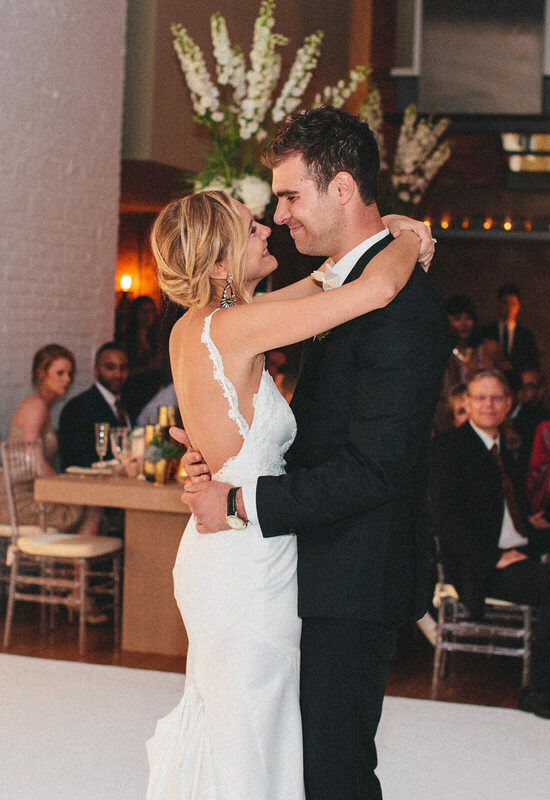 On June 25, 2016 at Bathhouse Studios in the East Village of New York, Marla was a soft romantic vision as she walked down the aisle to marry her true love, Jordy Dolleman. Her sultry gown flowing beautifully behind her, Marla looked elegantly bridal as she wed the love of her life. 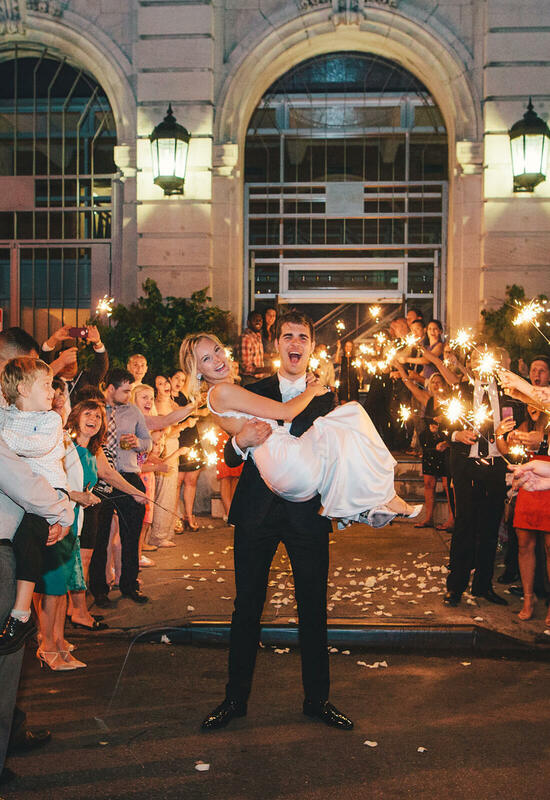 For Marla, shopping for a wedding gown was a fun dream come true for her. A fan of the popular show Say Yes To The Dress, Marla knew that if she got the opportunity she would visit the Pnina Tornai Boutique at Kleinfeld Bridal. Therefore, when the opportunity arose, Marla, her mom and her best friend/maid of honor went to the famous boutique to begin the search for her dream gown. “It was everything we imagined,” Marla recalls, explaining that she and her friend were giddy with excitement throughout the whole experience. Marla entered the boutique with an idea in mind of her dream wedding dress. She knew that she wanted a formfitting gown with an open back. 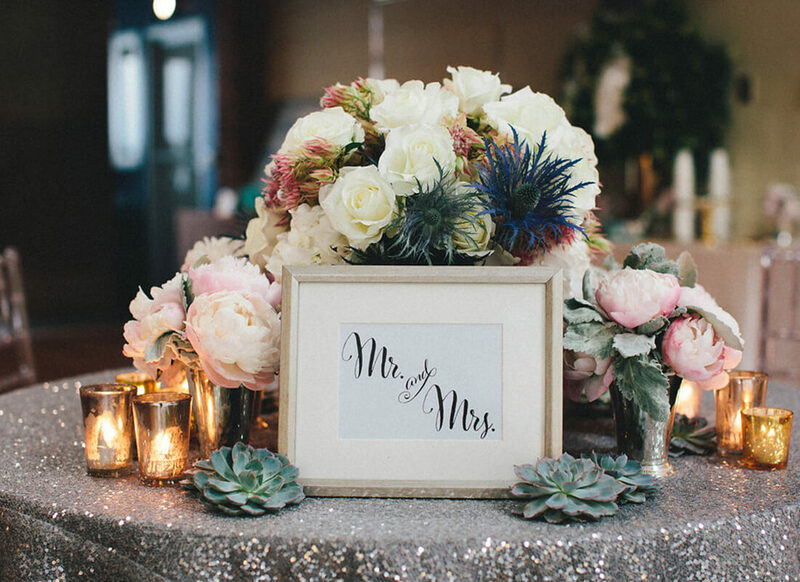 She explained this to her bridal consultant, Camille, who brought the bride-to- be exactly what she was looking for. As a fan of Pnina Tornai, Marla knew about the gorgeous gowns that the designer created. However, Marla did not believe that the dresses full of glitz and bling would be what worked for her. To her surprise, the very first gown that Marla tried on was a Pnina Tornai gown. It was a simplistic and gorgeous sheath gown with the open back that Marla was looking for and intricate lace detailing around the neckline. Marla was shocked upon discovering who had made the captivating gown. Pleased with the sultry simplicity of the gown, Marla emerged from the dressing room to show the dress to her shopping partners. 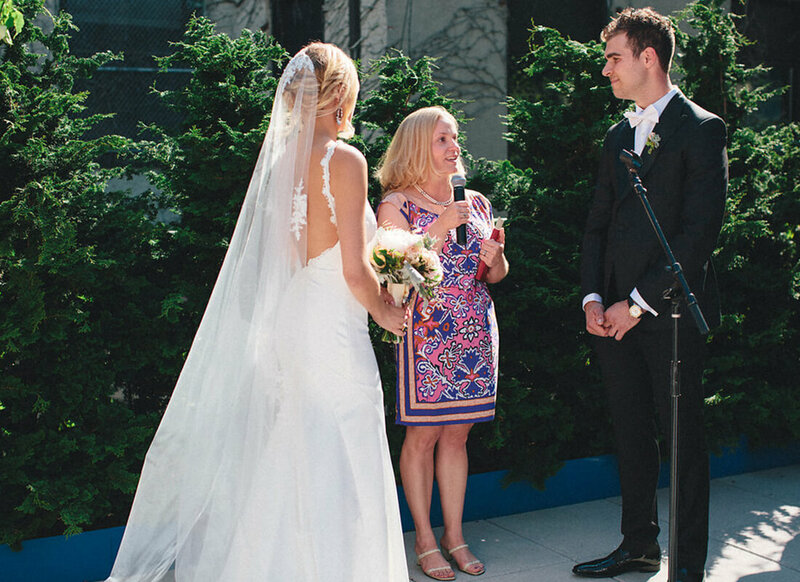 To her great surprise, Marla's mom began to immediately cry upon seeing her in the gown. 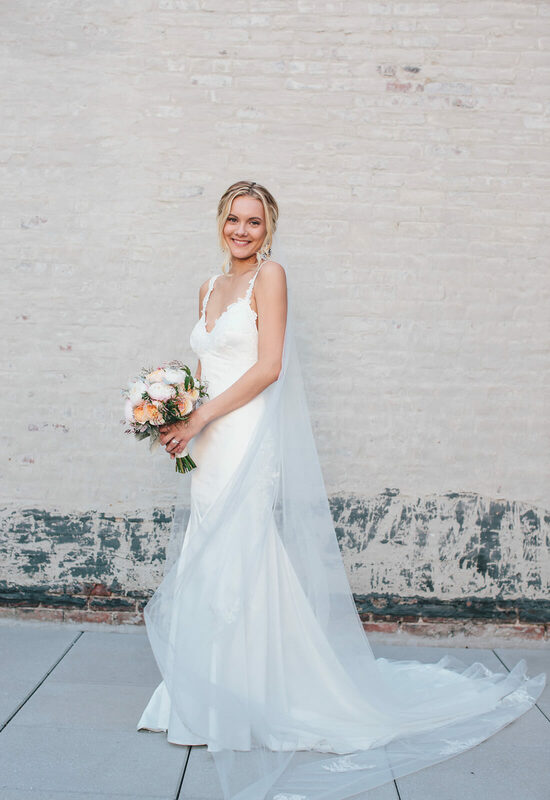 There was no doubting the beauty of the gown but Marla was having trouble with believing that the first gown she had ever tried on could be “the one.” However, after trying on a few other gowns, nothing could compare and Marla was ready to say yes to her dream dress! 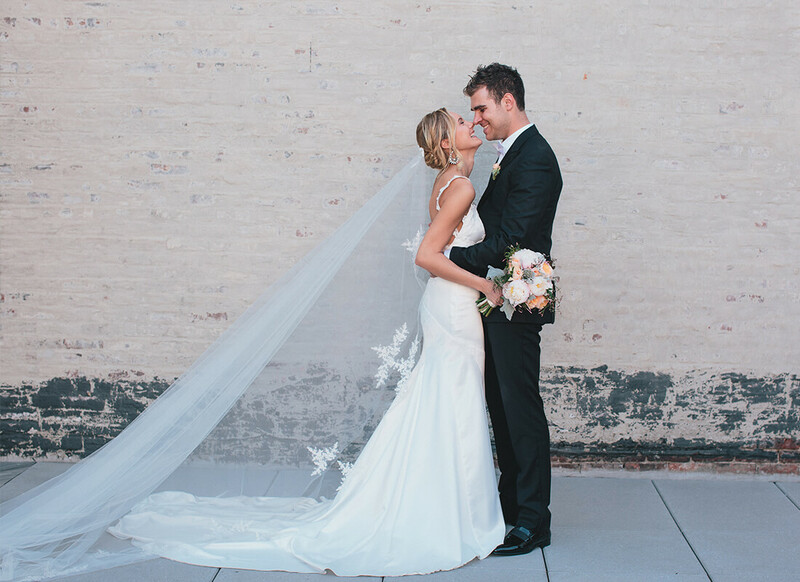 A stunning sheath gown with an open back, lace detailing around the neckline and a cathedral train, this dress was everything Marla had dreamed of for her wedding gown. The dress draped and hung perfectly on her slender silhouette. 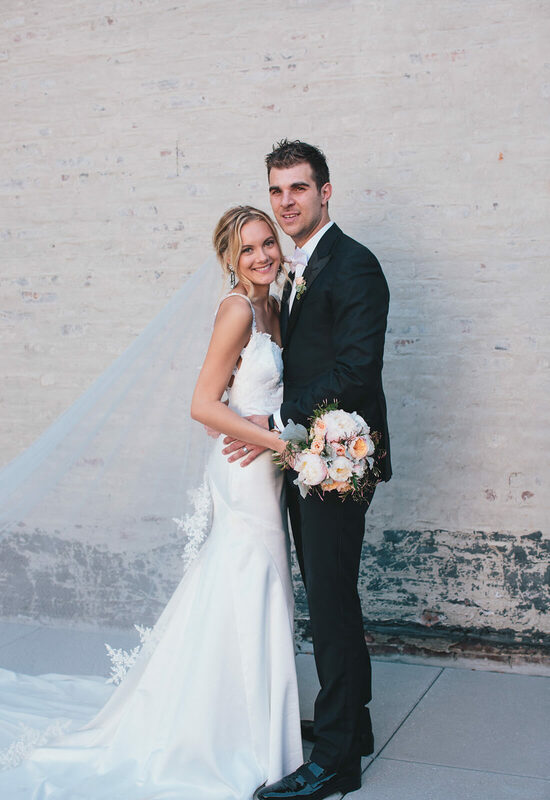 It was the right amount of fitted without being too tight which gave the gown the elegant and bridal feel that Marla was going for. 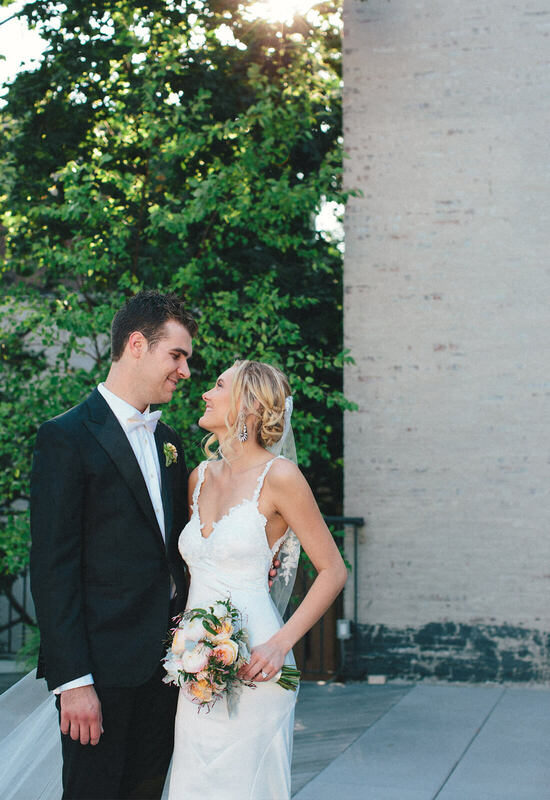 The dress struck the perfect balance of simplicity and detailing for this chic bride. 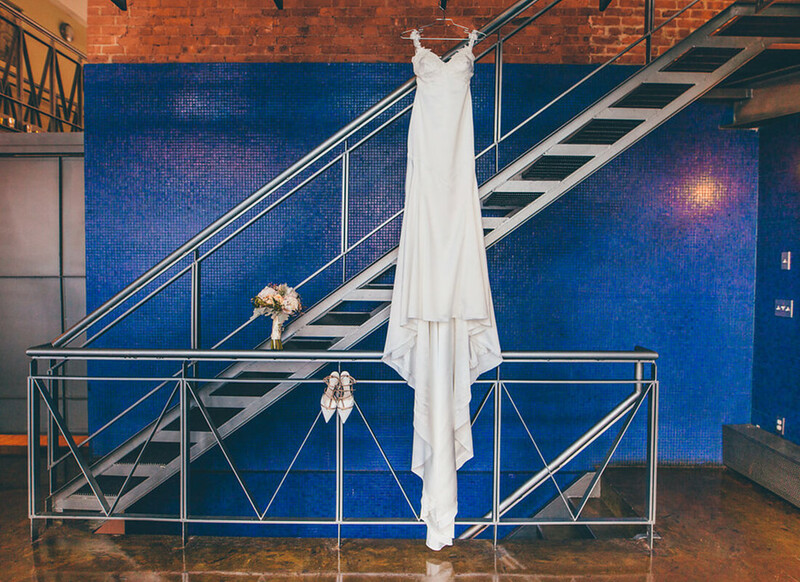 With an industrial backdrop complimented by soft and romantic pastel floral arrangements, Marla was ready to marry her love Jordy in her exquisite wedding gown. 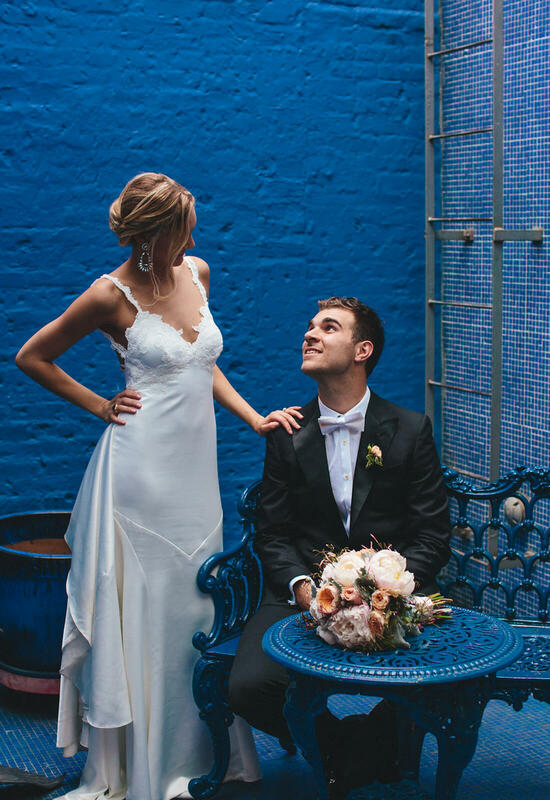 Like the flowers, the gown brought a wonderfully feminine touch to the venue and looked amazing when contrasted against the industrial looking background. To compliment her gown, Marla's bridesmaids were gorgeous in their champagne colored bridesmaid gowns, which looked lovely next to Marla's white wedding dress. 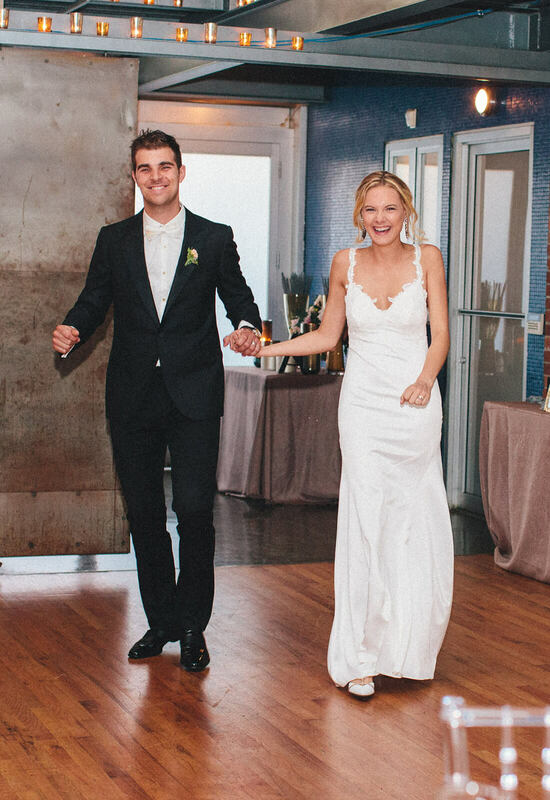 Smiling from ear to ear and beaming in her enchanting wedding gown, Marla danced the night away in the arms of her love, Jordy, happy in life and in love.